From the stable of Westcountry Nurseries, which is famous across the globe for breeding and offering a very special range of Lupins. 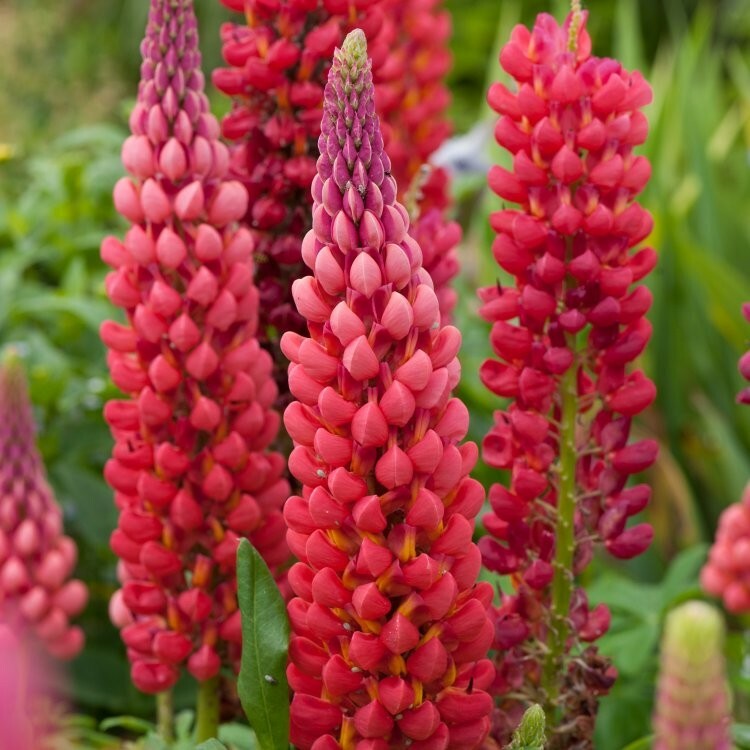 All the varieties have inspirational names such as this Lupinus Towering Inferno which conjures up all sorts of thoughts of heat and fire in those most unmistakle of flower spires that Lupins display. Towering Inferno Westcountry Lupins really do live up to the expectations of their name, a real bonfire of a plant when in full bloom with large smouldering towers of orange blooms in summer - a very unusual colour for Lupins, and very easy to grow too. Lupins do particularly well in a fertile well drained soil, with multiple flower heads being produced in the first year, and more every year afterwards over lush attractive foliage. These spire of flowers are also excellent for cutting and using in floral arrangments as well as being a good food plant to friendly garden bees. Well established plants supplied in approx 3 litre containers.